A 38 North exclusive with analysis by Joseph S. Bermudez Jr. Figure 1. 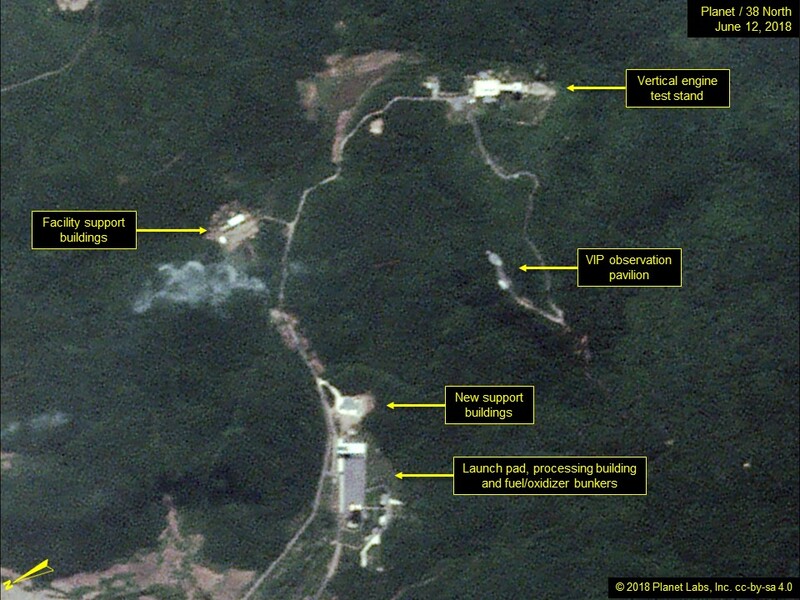 An overview of the Sohae Satellite Launch Facility mid-June. The engine test stand at Sohae has been used to test large liquid-fueled rocket engines applicable to both intercontinental ballistic missiles and large space launch vehicles. While there are other vertical engine test stands in North Korea, the one at Sohae is the most well developed and its destruction would represent a significant symbolic and practical step forward for North Korea.